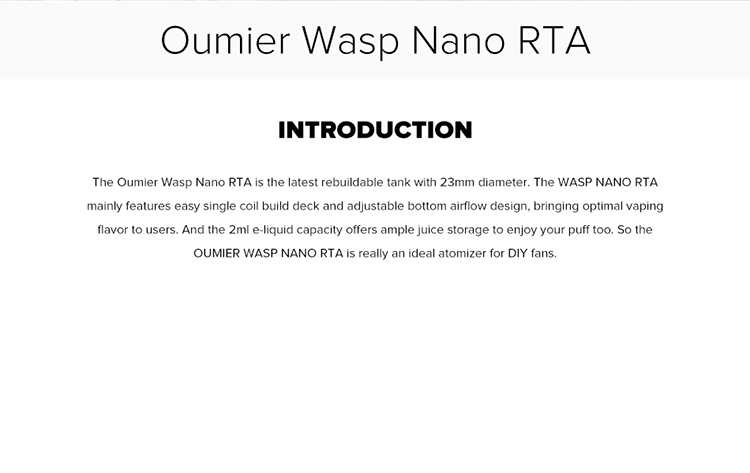 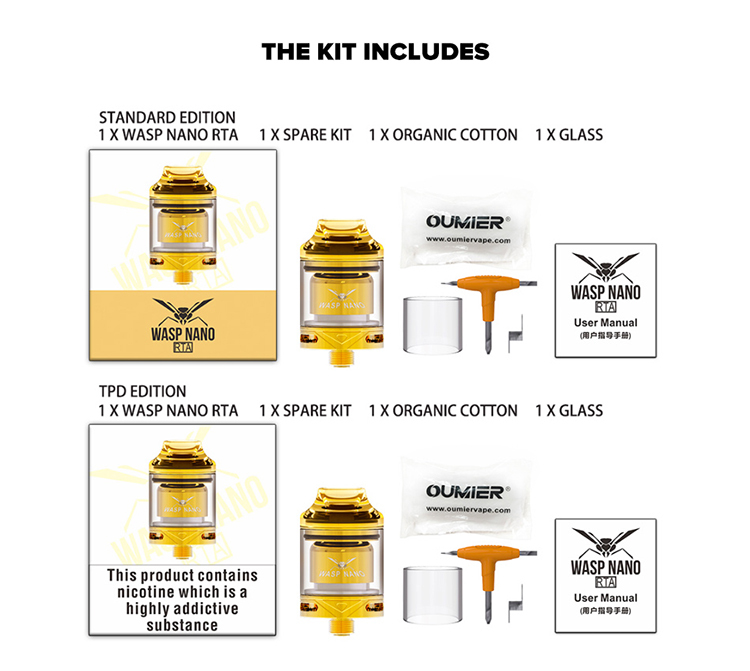 OUMIER Wasp Nano RTA features 23mm diameter and single coil build deck. 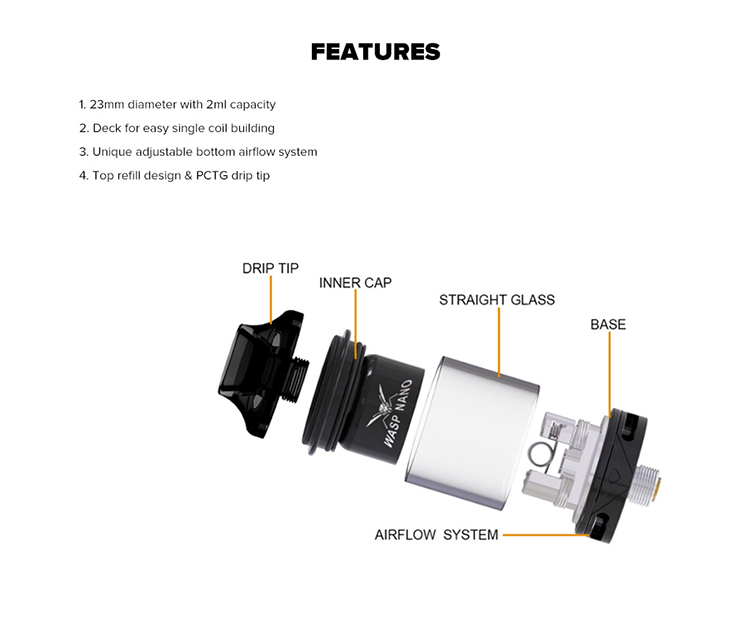 The adjustable bottom airflow design offers better vaping taste. 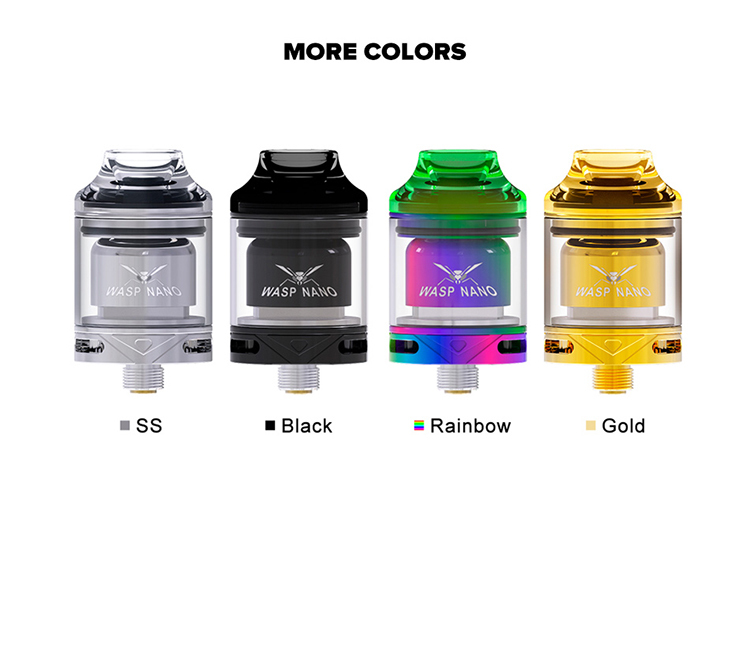 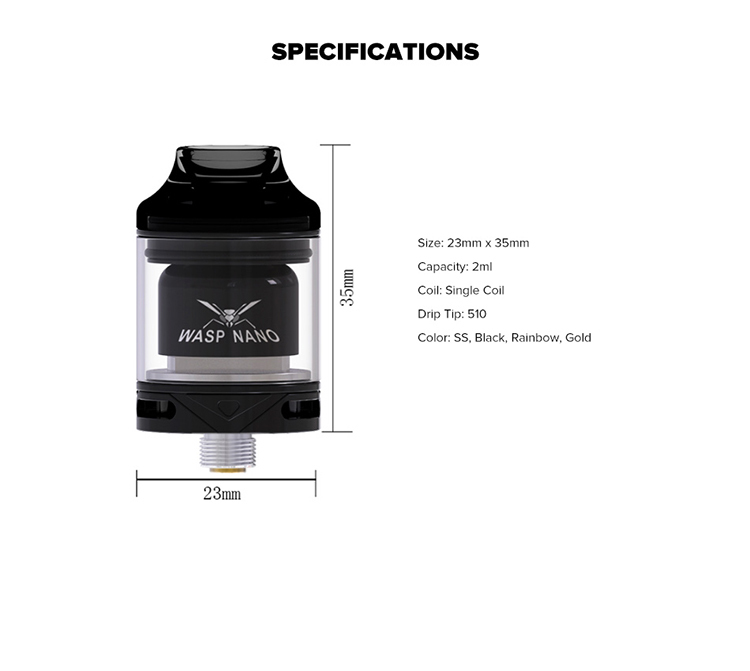 2ml e-juice capacity is available. 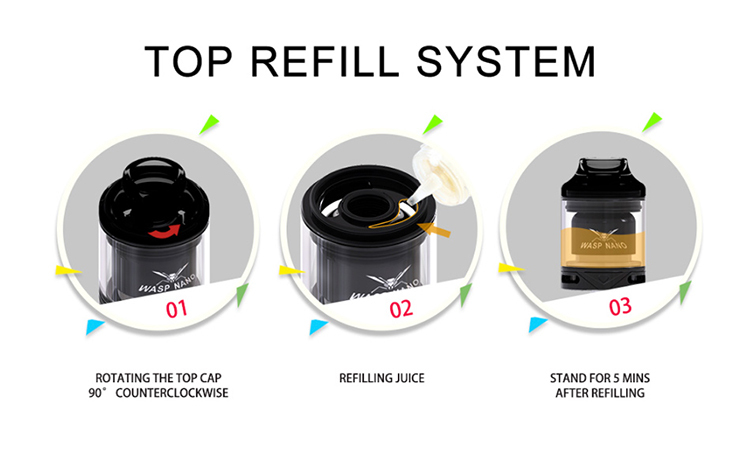 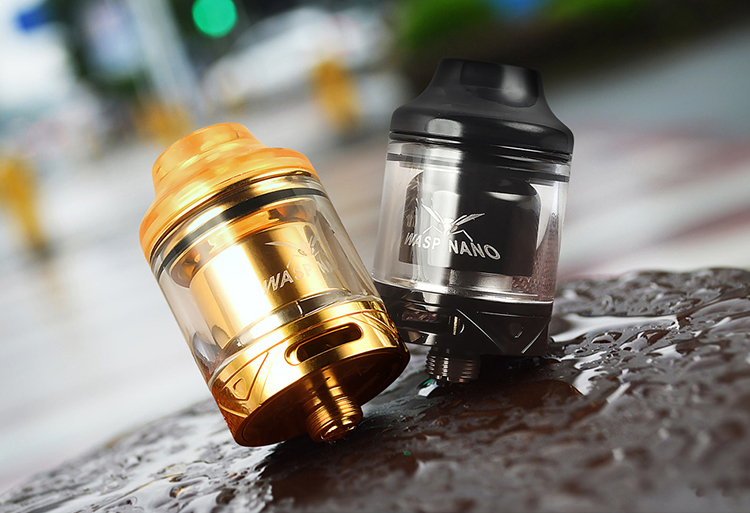 It adopts transparent PCTG 510 drip tip to bring you comfortable mouth feeling.